At first, he found it difficult to acclimate to the competitive environment, as well as to his teachers who were from Eastern and Central Kenya – their accents were different from those in his village. Despite the challenges, Evans excelled in Math and History and earned the nickname “Computer” from his fellow classmates. 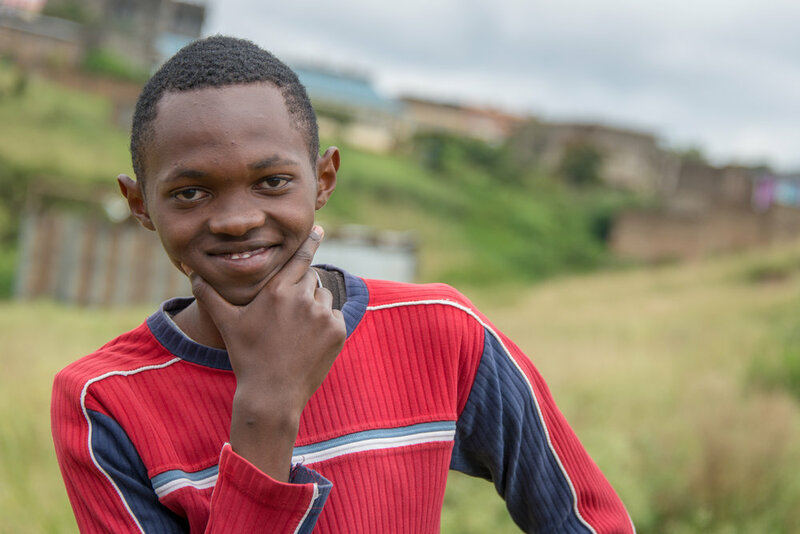 He graduated in December 2017 and has been accepted to college in Bondo, where he plans to study Community Development and Social Work. Since graduation, Evans has volunteered at Uzimatele Primary and now is teaching mathematics at a St. John’s Secondary School in Mwiki in order save up money for enrolment this autumn. Evans believes the future of Kenya relies on helping people develop their skills, their education, and thereby offering them a chance at more opportunities and a better life. He is passionate about mentorship and helping children have access to the tools they need to succeed. After he graduates, he wants to begin social work including entrepreneurship training to help people get the skills to build their own businesses.